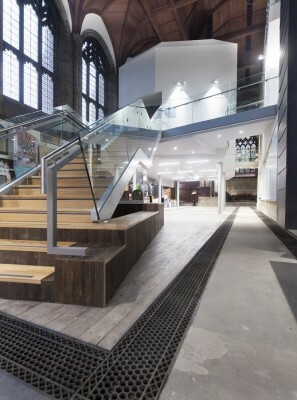 The new look modern interior to a Grade II* listed church in Bolton will be unveiled to the public on 6th December. 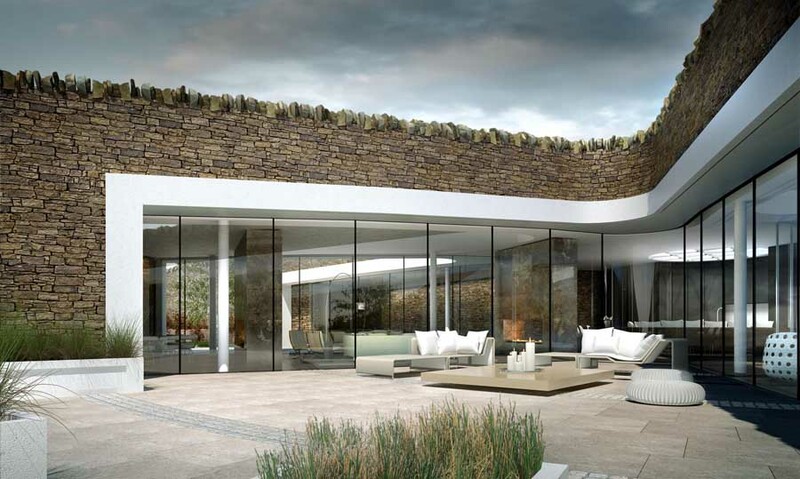 It follows a £4.9m adaptive reuse project, which has been ten years in the making. The regeneration project recently won an English Heritage Angel Award for The Best Rescue of Any Other Type of Historic Building or Site. 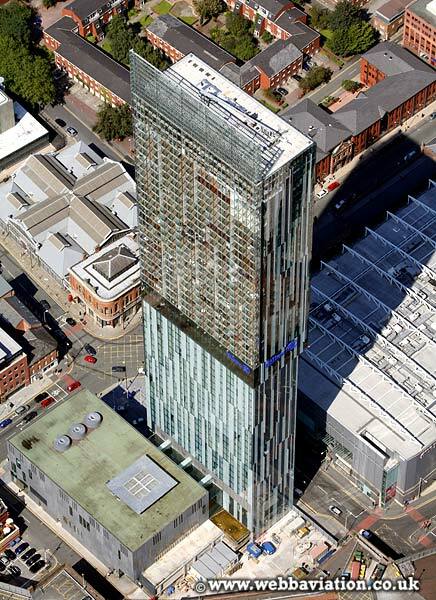 Two futuristic free-standing ‘building within a building’ structures have been erected inside the church. These ‘pods’ will house a coffee shop and restaurant, meeting and event spaces, and be a centre for heritage learning. Pod 1 is a three story 10.5m high structure on the south side of the nave. 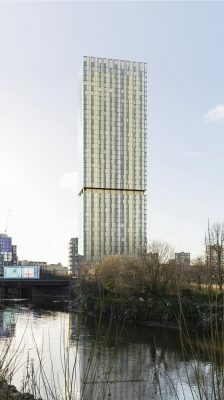 It comprises offices and a kitchen on the ground floor, a production suite, meeting rooms and toilets on the first floor, and classrooms on the second floor. 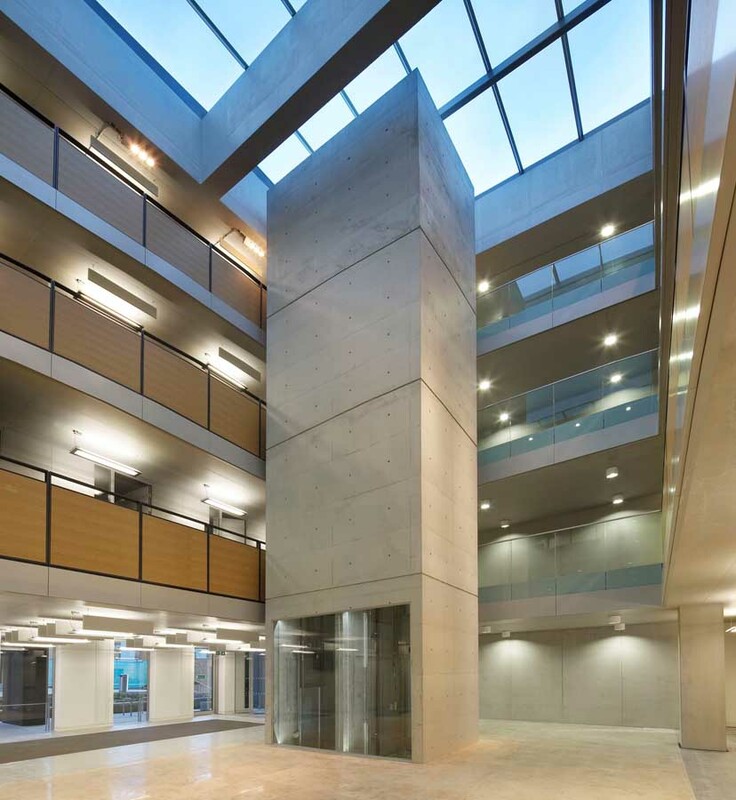 Pod 2, on the north side, has a single large events space/conference room on the first floor, which is raised up on six columns to accommodate an “open air” coffee shop and restaurant within the nave of the church on the ground floor. 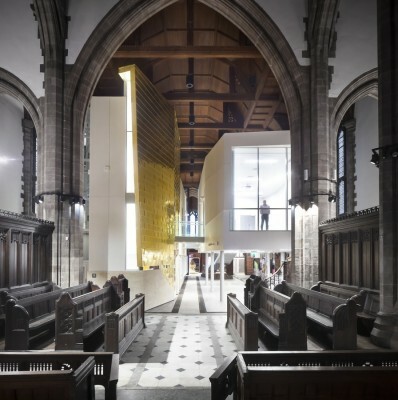 According to Manchester firm OMI Architects, who masterminded the project, the apparently organic form has connections with both the original church interior and its urban context. All Souls was built at the junction of two terraced streets, an attempt to make the community church visible and prominent. Although the local street configuration has changed over the church’s 130 year existence, the church’s sleek new pods will serve as a reminder of the church’s heritage: contrasting the geometry of the urban grain with the church’s rectilinear plan form. Constructed over a period of just over a year, all materials and machinery were brought in and out through the church’s two-metre wide west doorway. This limitation resulted in the use of prefabricated SIPS panel construction, limiting the need for heavy lifting equipment during construction. 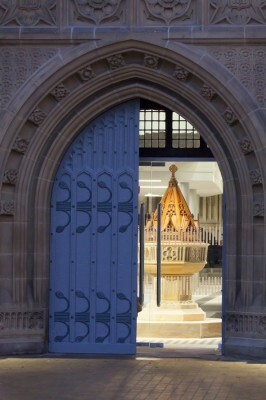 Consistent with the project’s commitment to the church’s unique 19th century architecture, this ‘ship in a bottle’ project brings modern architecture into a heritage setting without compromising the historic fabric of the church. 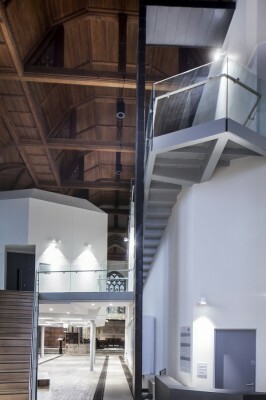 The new buildings are set back from the exterior walls of the church to enable an appreciation of the finely constructed panelled roof and an entirely unobstructed view of the church’s east end – a design made possible thanks to the unique monolithic single span space of the original church. For the first time ever, visitors will be able to get up and close with the church’s historic features via a high level open deck circulation system, designed to celebrate the church’s architectural features. 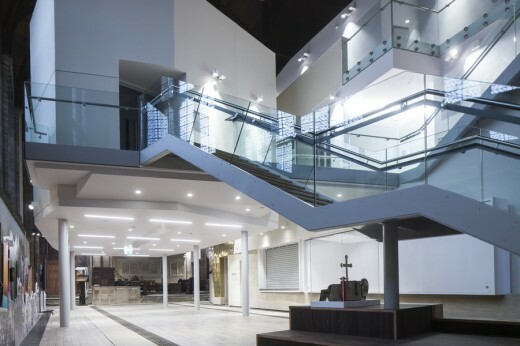 As well as adding much needed amenity space within the building, the new design’s stairways and raised walkways take visitors on a journey around the historic building, allowing visitors to get much closer views of the windows, war memorials and unique timber roof. The project should give the building another 100 years of life, transforming it from unloved 19th century church into a state-of-the-art community building for people of all faiths or none. Throughout the construction programme, The National Heritage Training Group funded six paid training placements to economically disadvantaged Bolton residents, on top of a series of weekly technical days for locals which focused on key heritage conservation skills. 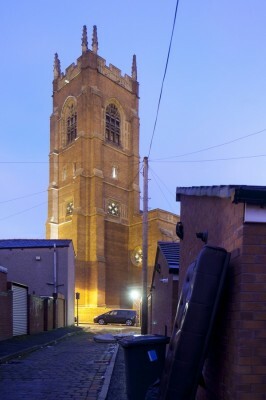 This unique project is the latest innovative conservation scheme from The Churches Conservation Trust to provide a sustainable use to historic churches, with others including the conversion of St Paul’s Church, Bristol into a circus school. Next in line for the CCT is the transformation of St Mary at the Quay, Ipswich into a wellbeing heritage centre, opening in early 2016.